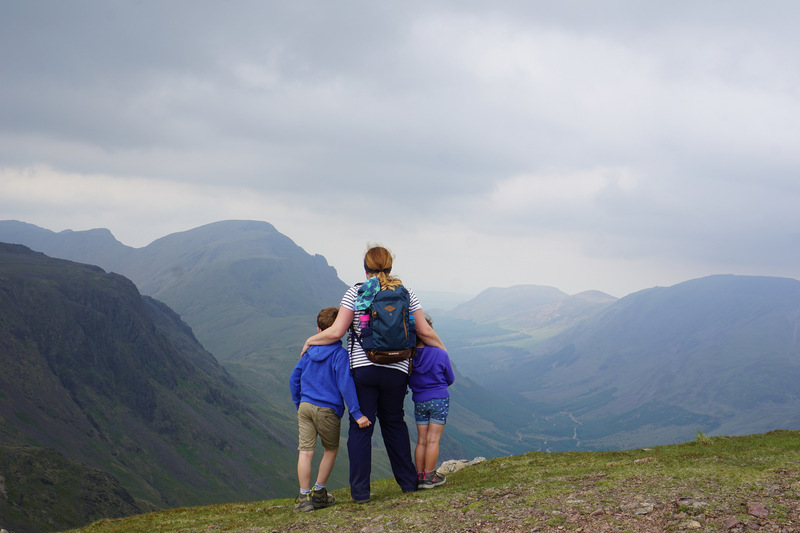 During our week in the Lake District, we managed to spend most of our time out in the hills. 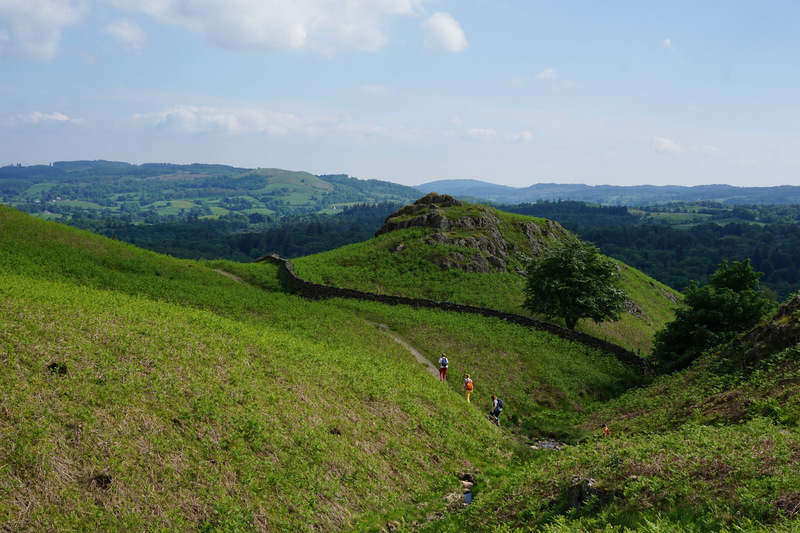 I shared our first two walks up Helm Crag and Hallin Fell in my last post – so now it’s time for our other two hiking days. 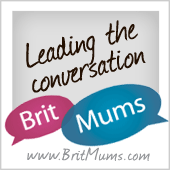 Beware – this is another photo laden post. 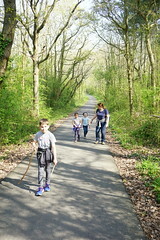 I just can’t get enough of the lush green views and my gambolling children! 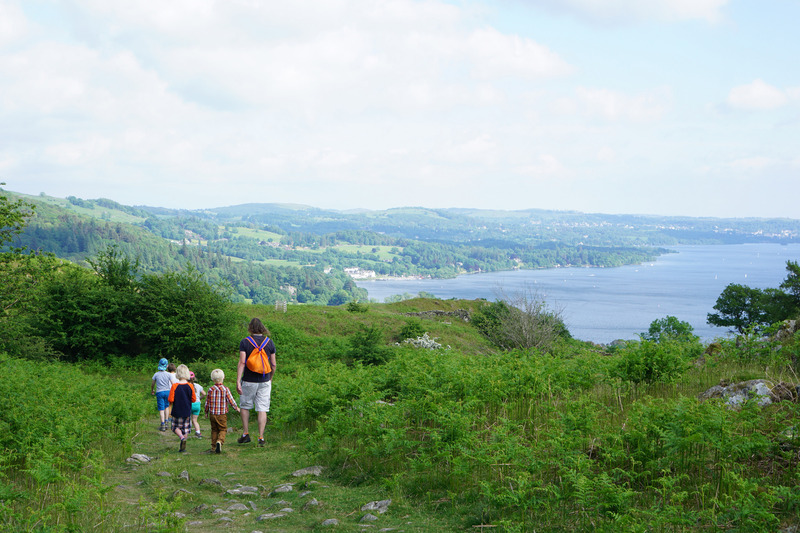 In the middle of the week, we met up with a colleague of Matt’s and his family for a big lunch in Ambleside followed by an afternoon walk. They had three boys who immediately hit it off with Alex and Sophie. 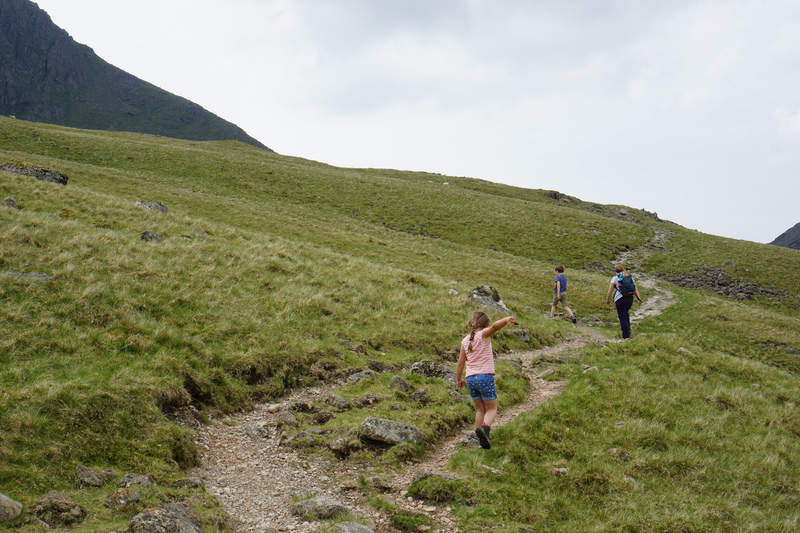 The five children really led the way for the duration of the hike – and we had to walk really quite quickly to keep them in sight! As a result, I’m not entirely sure what our route was! 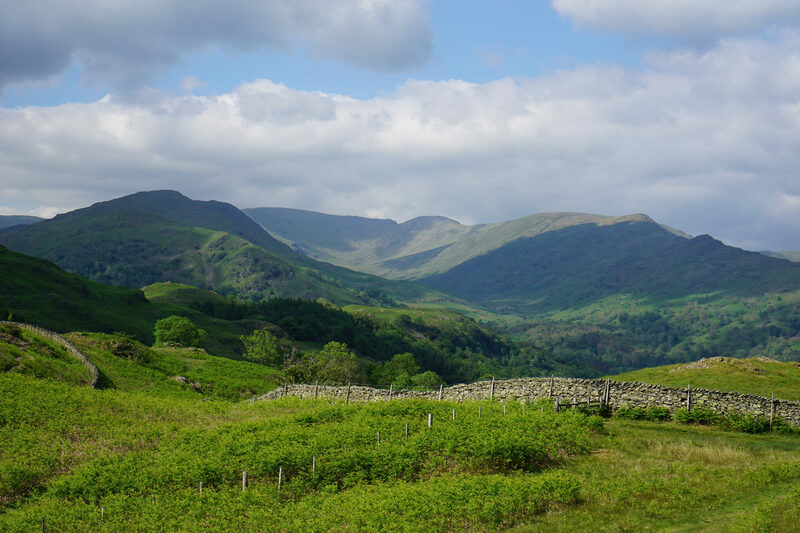 But it was up in the hills surrounding pretty Ambleside – and was a bit gentler than some of the higher fells in the area. 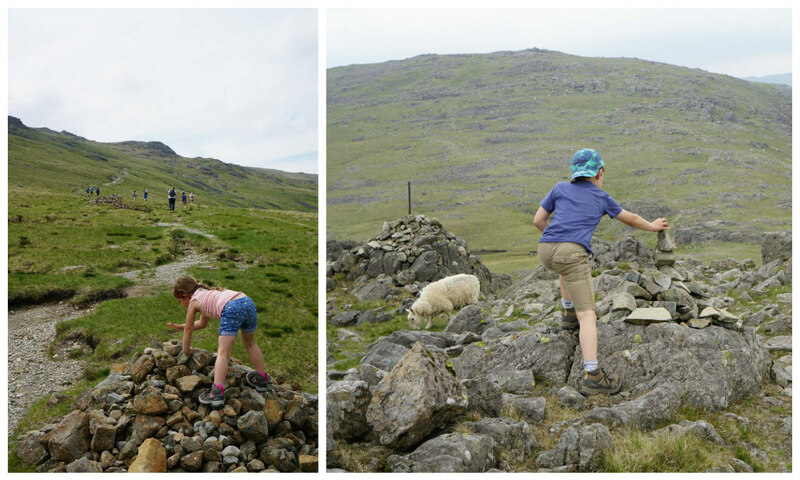 The children loved making a beeline for any rocky outcrops they could find to climb! 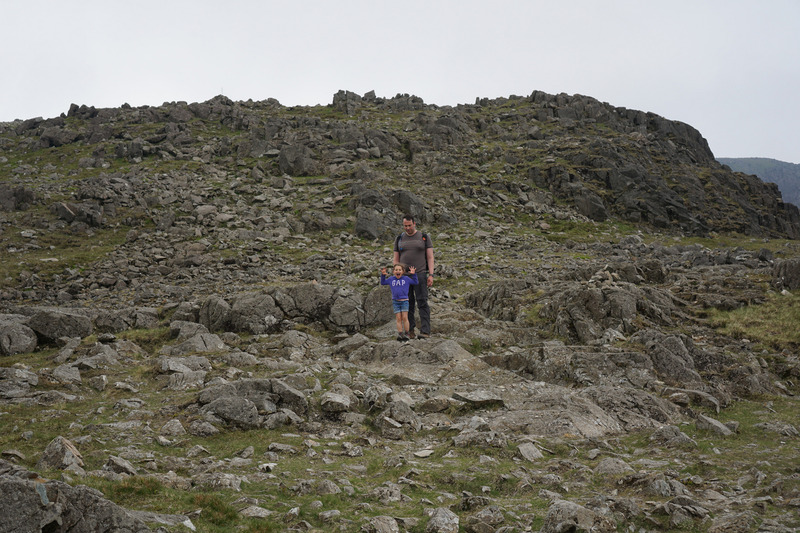 They looked very proud up at the top! And of course, once you’re up higher, you get to run down even faster! 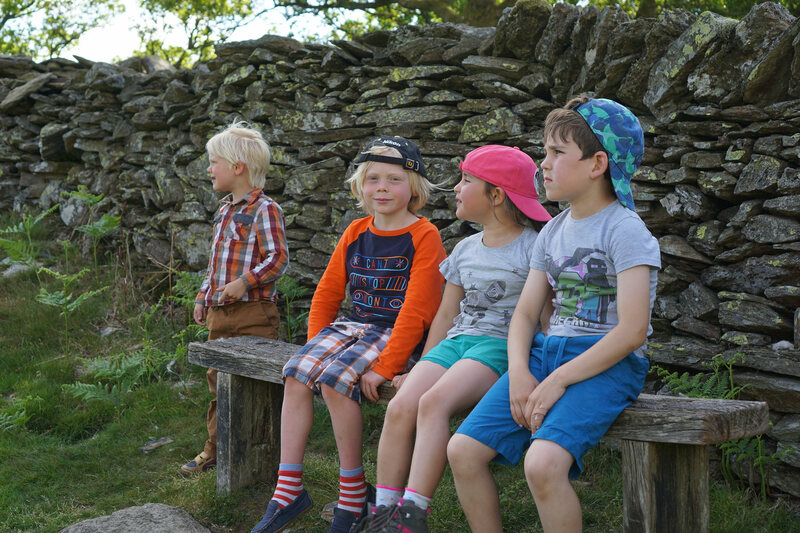 It was such a lovely afternoon – so fun to watch the children making new friends, and great for us to have the opportunity to catch up with old ones. 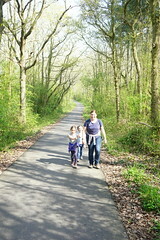 At the end of our week, we decided to try a bigger walk with the children to see how they’d get on. 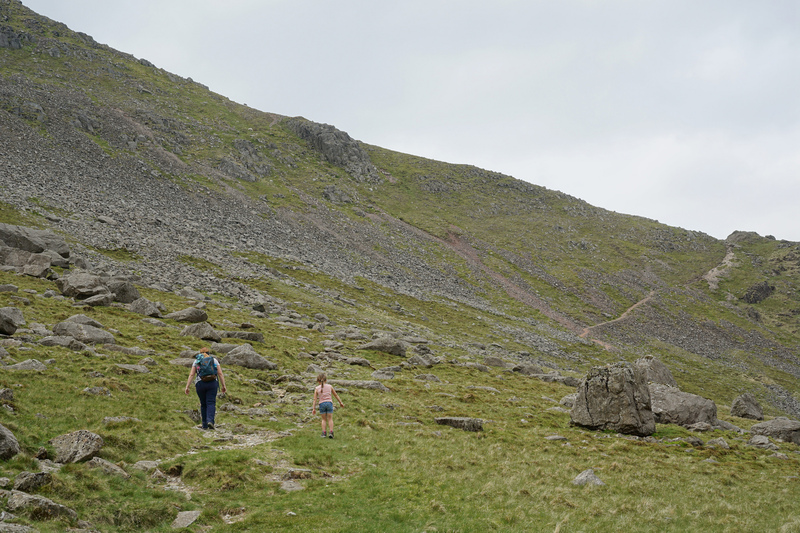 So we drove up to Honister Slate Mine to try and bag Great Gable. 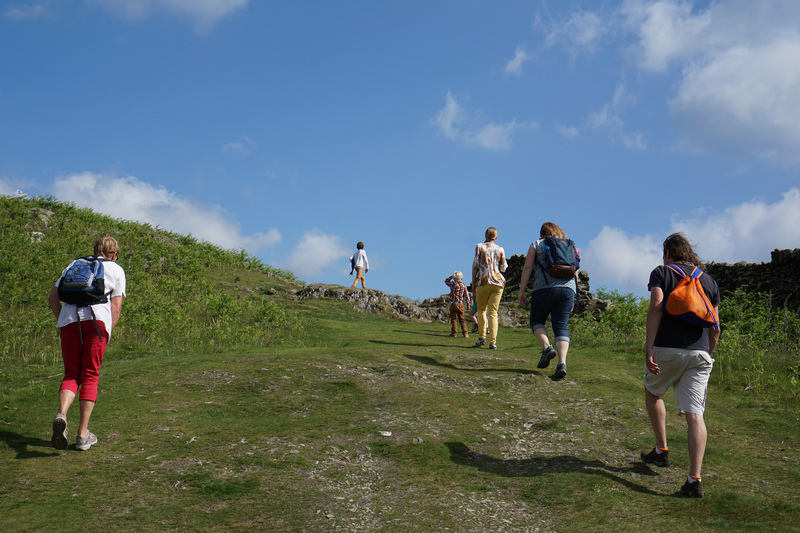 And off we went, following the winding paths across the empty landscape! 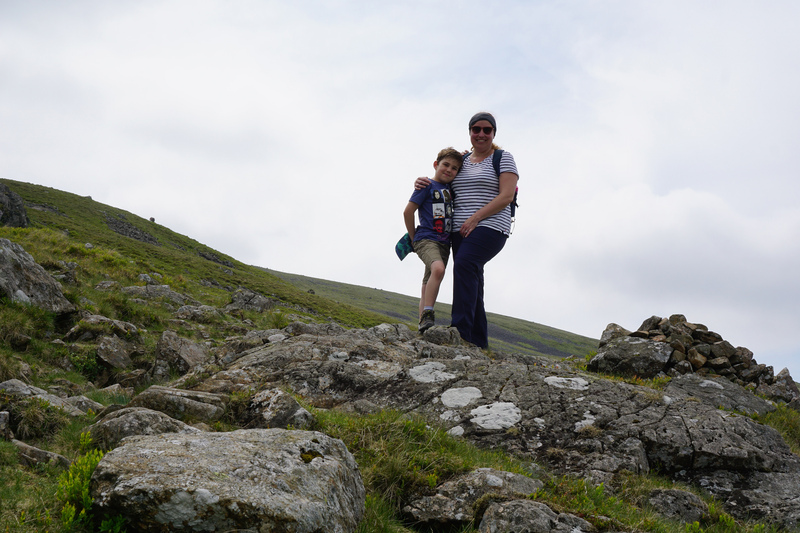 Sophie tried a spot of photography to capture me and my boy up the hill! 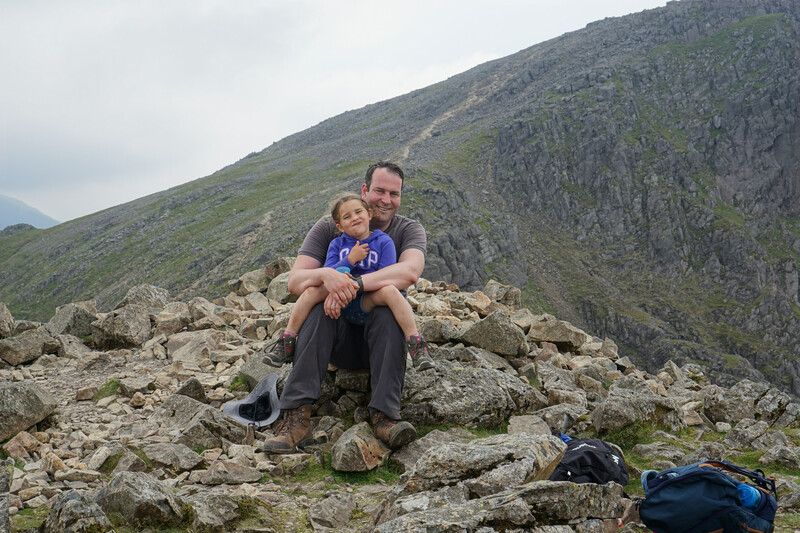 After a picnic to fuel us up, we made a start on Great Gable. 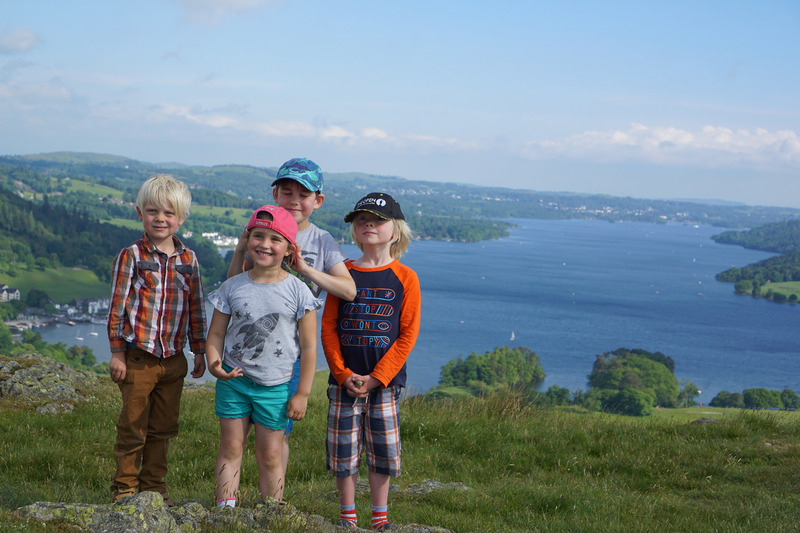 But with the wind picking up and it feeling a bit chillier, the children’s enthusiasm wavered a little – so we climbed up to a point on its flanks to see the view and then turned around. 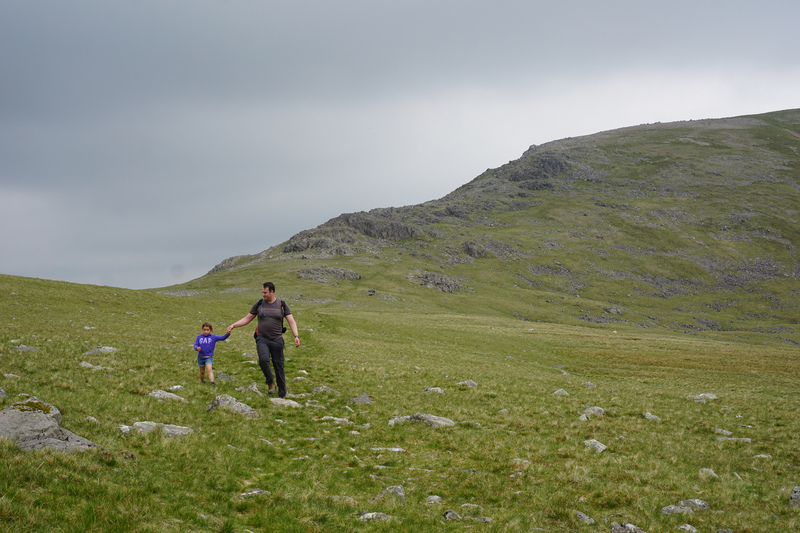 We decided to climb up Green Gable instead – the smaller hill next to its great neighbour. 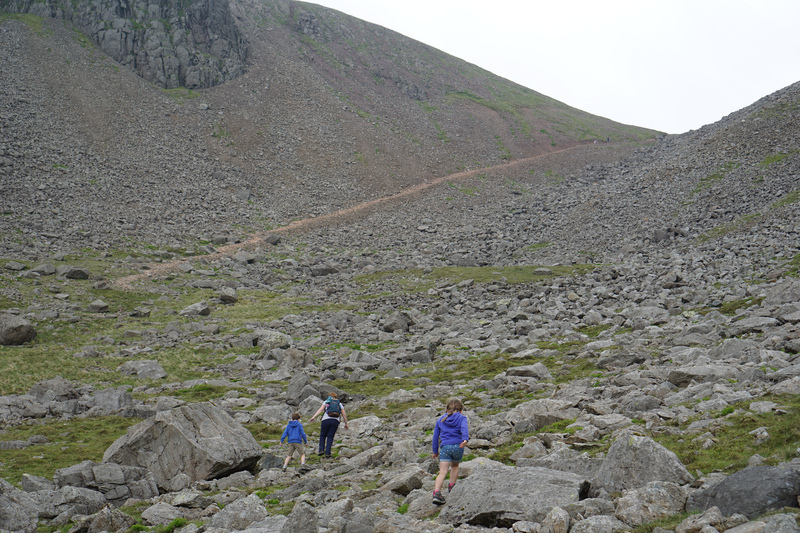 So we traversed along the rocks to the path to the shoulder between the summits. 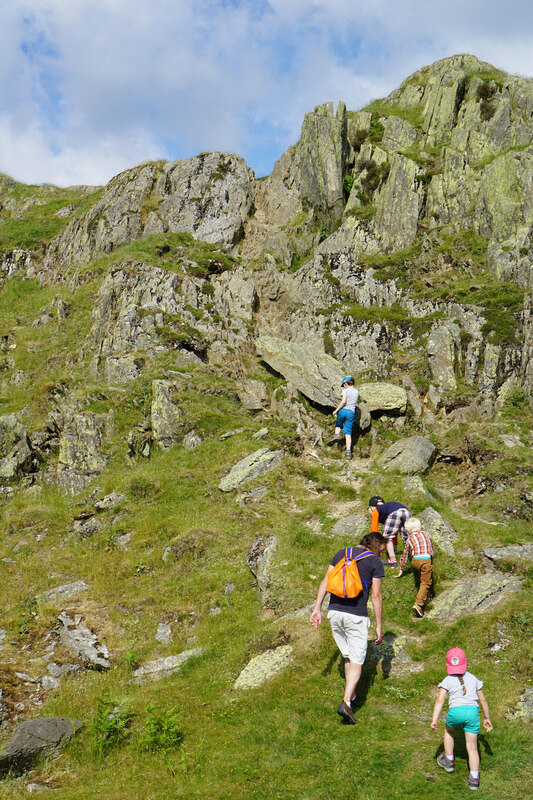 It was a tricky climb – it doesn’t look it in the picture below, but the orange path was pretty steep and made up of scree so we scrambled our way up, rather enjoying the adventure and getting quite dusty in the process! 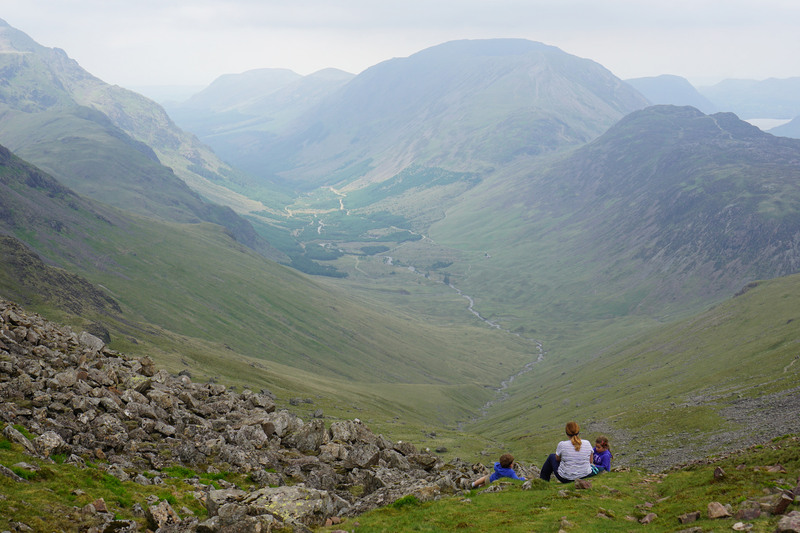 … and yet more spectacular views. 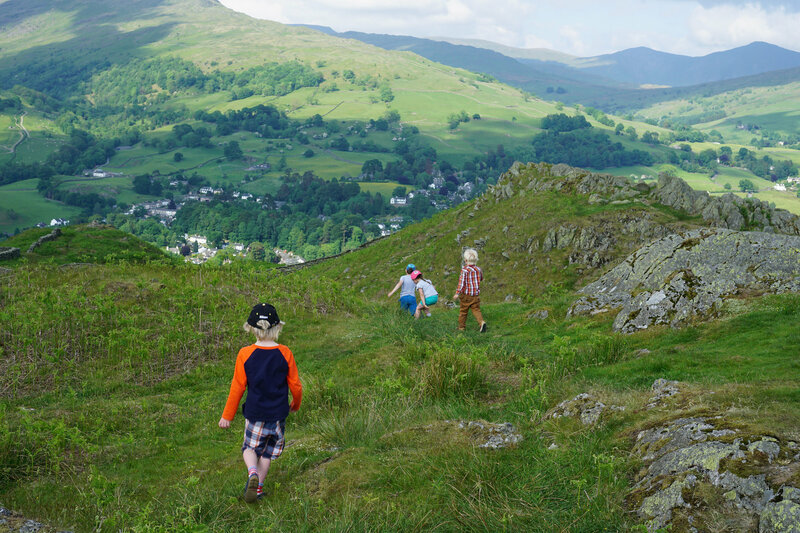 I absolutely love that we’re at the point where the children can not only manage this kind of trek, but also really enjoy it. I’m so proud of how well they did. 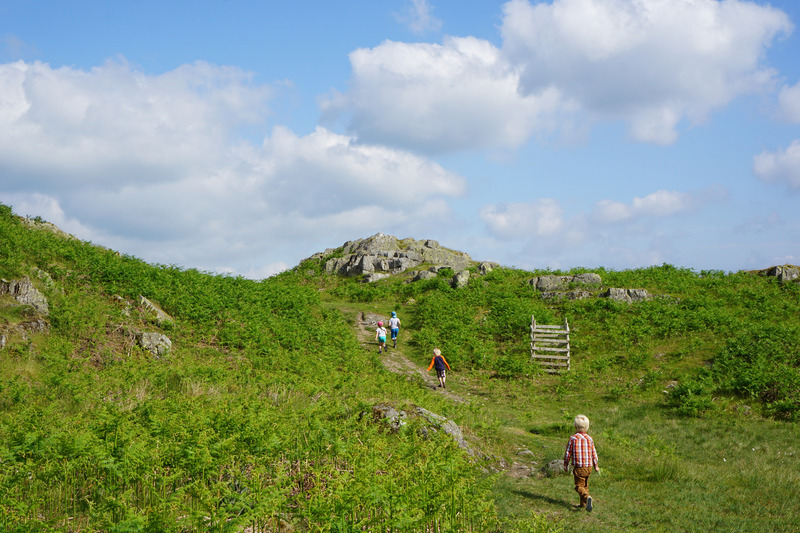 We took our time walking back down to Honistor, enjoying the alien rocky landscape which offered ample opportunity for little legs to climb and scramble. 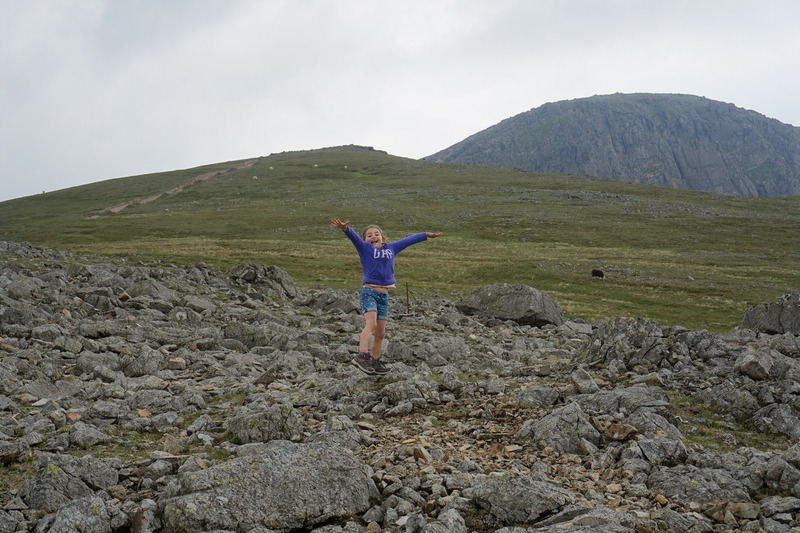 We nicknamed Sophie ‘goat’ because of how comfortably she jumped around the rocks!